Northern Ireland's Brian Magee easily outpointed Jaime Barboza to capture the fringe interim WBA super-middleweight crown in San Jose, Costa Rica. Magee dominated the little-known Barboza, a career light-middleweight, using his jab and body shots to control the action. It was Magee's first fight since losing to IBF title-holder Lucian Bute in Montreal in March. 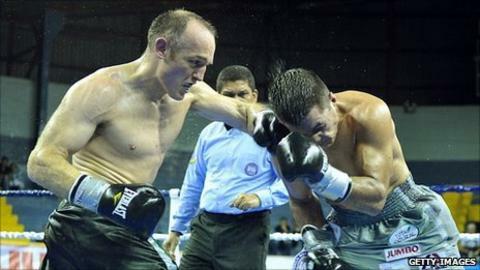 Magee, 36, could now land a second shot at a world title. Barca heading nine points clear? Read more on Barca heading nine points clear?